Our school provides healthy meals each day. Breakfast costs $1.00; lunch costs $2.80 – $3.10. 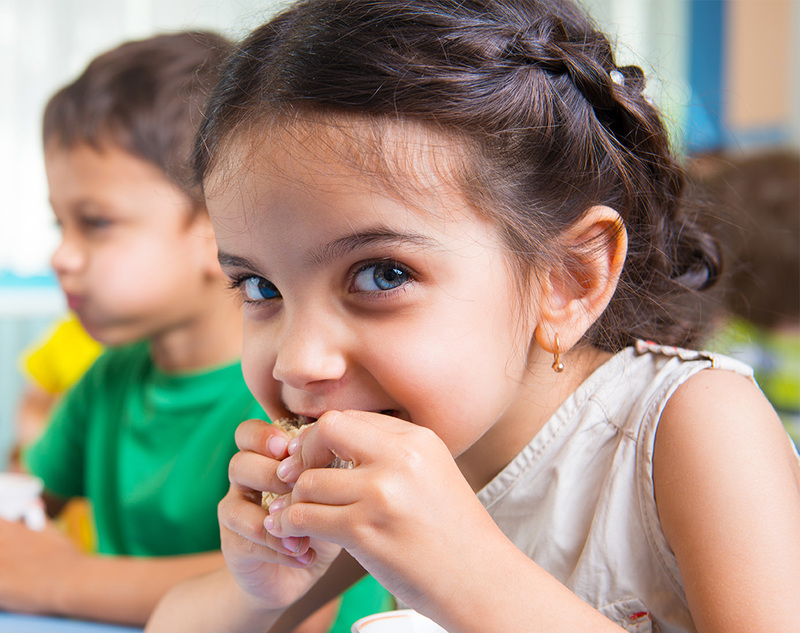 Your children may qualify for free or reduced-price school meals. To apply, download this pdf: 2018-2019 Application for Educational Benefits Packet, then follow the instructions to complete the Application for Educational Benefits. A new application must be submitted each year. Who can get free school meals? Children in households participating in the Supplemental Nutrition Assistance Program (SNAP), Minnesota Family Investment Program (MFIP) or Food Distribution Program on Indian Reservations (FDPIR), and foster, homeless, migrant and runaway children can get free school meals without reporting household income. Or children can get free school meals if their household income is within the maximum income shown for their household size on the instructions. To apply for full school meals, please complete the 2018-2019 Application for Educational Benefits form. I get WIC or Medical Assistance. Can my children get free school meals? Children in households participating in WIC or Medical Assistance may be eligible for free school meals. Please fill out an application. How will the information be kept? Information you provide on the form, and your child’s approval for school meal benefits will be protected as private data. For more information see the back page of the Application for Educational Benefits. Please provide the information requested about children’s racial identity and ethnicity, which helps to make sure we are fully serving our community. This information is not required for approval of school meal benefits. If you have other questions or need help, call 952-442-0600 – ASK FOR DARLENE SIEGLE.